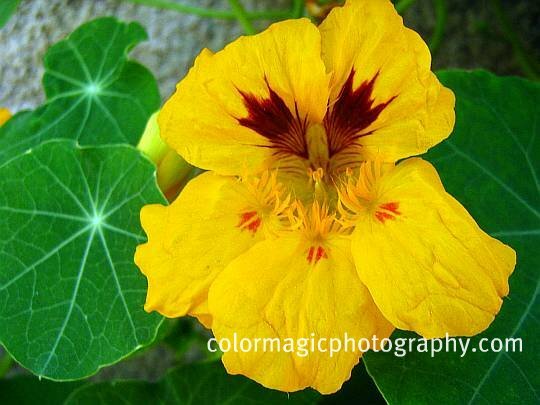 Nasturtiums are flowering everywhere, with bright yellow, scarlet and red flowers. 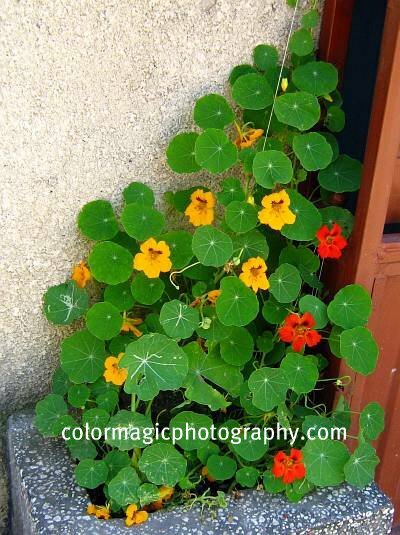 Planted as a trailing ground cover, in a colorful hanging basket or just as a compact bush in a container, nasturtiums are a cheerful patch of color. I often see nasturtiums creeping on the ground in the cemetery and even in neglected backyards. That let's me conclude that they grow best left alone, as many other beautiful flowering plants, like the columbine. most important, keep the soil dry! Keep the soil moderately moist during germination. It takes about 10 days the young plants to come up. Their peppery leaves are believed to ward off insects, making nasturtiums excellent companion plants for cabbage family plants (cabbage, broccoli, collards, cauliflower, kale.) 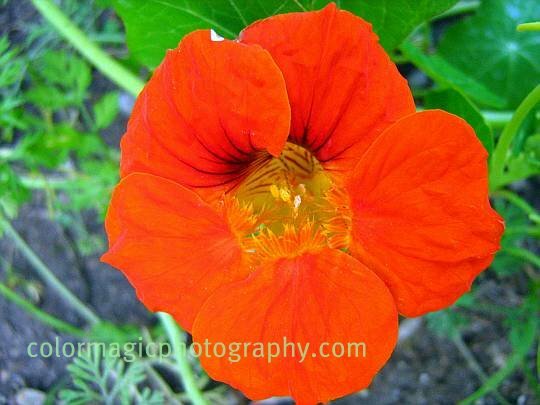 In particular, the caterpillar of the Large White (Cabbage White) Butterfly is attracted to nasturtium.